"Straightforward and Stable, A little behind the curve"
I like the Cinnamon Desktop Environment, it's simple and uncluttered. The mint menu behaves exactly like I expect and allows me to open software without grabbing the mouse if I so choose. Enough configuration to handle standard use cases without an intimidating array of extra choices. This is one of my go-to recommendation for new Linux users because it's friendly and supported like Ubuntu while using a good, distinctive but also traditional DE. Version upgrades are difficult and suggest risk, because of its reliance on Ubuntu versions it's often not shipping recent versions of software which means I often cannot use features that are current and supported in the project itself. Price of stability, admittedly but it's not ideal. 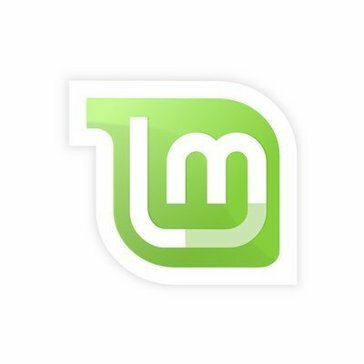 I suggest that potential Linux Mint users consider whether LTS is for them, and whether a traditional desktop paradigm is what they're after. Gnome is setting new trends and Plasma has more options, Cinnamon is not exciting, it just works well. Mint is an overall usable system but it's lack of clear goals and provisions for specific use-cases means it's not gonna change anyone's life. I needed a linux system that was reasonably stable and at the time I was concerned about getting lost in terminal commands. Mint provides a decent set of utilities and doesn't compel you to get technical. I needed something that had good software support in order to avoid constant fights over what kinds of software we could use. Linux Mint is my favorite operating system since the 14th version. It is easy to download, install, user friendly, I use it with Cinnamon which is a free and open-source desktop environment. Linux Mint is a linux distribution based in Ubuntu, but somehow we have never get used to the Ubuntu User Interface. I like that is easy to personalize, it has useful applets and desklets, beautiful wallpapers, I really like its welcome window. We like the terminal and the software manager. There isn't any incompability with the software we need to work. We can't find something we dislike from Linux Mint, but I would like to have Plank and Numix icons integrated by default. I rather like Deluge than Transmission. If you are a new linux user, this distro would like you the most. People usually pick Elementary OS, but somehow I had always experienced bugs or had troubles with my drivers. Also, I like to personalize my Operating System and Elementary OS doesn't lend you to personalize much. It is my main operating system, it has the software I need, is intuitive, easy to use, there isn't much drivers incompatibilities or bugs, it is a operating system that you just install and you are ready to work. I don't spent too much time on installing my HP printer. There's a large community when you can't find help in cause you need it. "One of the most beautiful and stable operating systems." I really like the style it offers within all the free software distributions that exist. I am very excited to have a virus-free operating system, not having to go through the trouble of formatting my computer every three months, as with Windows in any of its versions. Another element that I really like is the speed it offers me when using the internet, it does not have hidden processes that use all the bandwidth that I have. I can do everything I usually do with a proprietary operating system and more. I can change the ways my desk presents itself, looking for my own identity, whether it's MATE or Cinnamon, the decision is mine, not the provider's. There is nothing you can not do with LinuxMint. Another detail, no less important but very decisive, is that you can use this system without paying a penny for your license, just as you read it, it does not require a key action or spend bad times for not having money, it's free. That is not as well known as other distributions of free software. However I can not qualify negative aspects because the benefits are greater than I have obtained since I installed it. Give it a chance and evaluate all the benefits it offers you, it really makes me very lively. I have most of my professional time using Windows, so I can tell you with total responsibility that with LinuxMint you will not have the usual problems, you'll forget about viruses! That's a lot. Do not worry about compatibility, currently there are many applications for your migration to be quiet and do not lose the functionality of exclusive programs for the privative. Also, you should know that there is a large community, which offers very suitable alternatives with high levels of quality, which will make the transition simpler than you think. Several friends have used LinuxMint and were delighted with everything it offers. The main headache of every entrepreneur is the payment of licenses, with LinuxMint that is a thing of the past, I have achieved an operating system that does not depend on expensive keys for its use. Another benefit is that I can receive any storage device without the fear that they contain viruses, that has saved me time and money, especially at times when computers must be operational most of the day. There is another detail, you can install it on as many computers as you want, without limits as other proprietary systems establish. Complete system mainly for beginners, with no need to install basic programs, has a range of applications for daily use, easy configuration can be executed all via graphical interface since most users feel difficulties to use the terminal. The system has some unnecessary applications. At the time of installation should have the option of installation of determined or not according to the user. Good option for users who need practicality and ease in the use of the system. Linux Mint with MATE we were able to work without requiring a lot of hardware resources. "Review about Linux Mint's version 18.1 (Serena)"
What I like the most about Linux Mint is that is really easy to use, you can find highly quality and long term support and thanks to the fact that is an Ubuntu based distribution, the solutions that are given to Ubuntu's users, can also work in this operating system too. Linux Mint is really great for people who are starting to use Linux, if it doesn't have the packages that they need in the official repository, they can download them in Launchpad because they are also compatibles with this distribution. The learning curve is really low even if you used to use another operating systems that are not open source. "Linux Mint is solid and runs faster than most"
I am not a huge fan of the various menus and layouts - I tend to prefer the Backbox 5.0 to Mint because it is even leaner and except for having to move the taskbar from top of the screen to the bottom I like the overall feel of Backbox over Mint in most situations. Mint is stable and works well out of the box on most systems. I use it mostly to revive old desktop computer castoffs to make them available to people who need computers but lack the resources to afford a real modern PC. This is a perfect distribution on linux for new users switching from Windows or for anyone looking to customize a bit but isn't sure where to start. It tries really hard to behave in a Microsoft familiar fashion in places where it could let Linux shine. It would be great if they would include an option along the way to switch UI versions rather than picking one at the beginning from their site and either reinstalling later or figuring out the transition manually. Consider the options when you're looking for a linux distro like mint. This is a variant of Debian and there are a long list of those distributions that have similar features and varying UI/stock software. For a business you completely lose the cost of the OS when using linux on a machine. You also cut down the issue of virus/malware because this OS is such a small target that most malware is not made to run on it. Linux Mint provides a powerful alternative to both the Windows and iOS environments. I particularly love that is a complete product with applications that provide similar, if not the exact same, functionality found in the more heavily marketed productivity software packages. Linux Mint also provides a level of portability I have not seen in other operating systems. I can literally install the operating system to be fully functional from a USB and access ALL productivity and other software - literally picking up my workflow from where I left it. It is a life saver as it fully integrates with many of the cloud-based solutions I already use. I have not yet found a dislike with Linux Mint. My first recommendation would be to join a user group for support before tackling Mint. It is not necessarily as "out of the box" as Windows or iOS, but once the basics are achieved, Mint certainly is easily installed and implemented. Linux Mint presents a very secure way of utilizing your own operating system at your client's office without using your own equipment. Integrating Mint with a number of cloud-based solutions will provide a level of security unrivaled by Windows or iOS. I can literally walk into a client's office, be offered a system that has a Wi-Fi connection and USB port and be up and running on my own system - saving me time and alleviating worries about laptop and device security. Finally, I love the fact that I can use Linux Mint on my phone - making it the core OS of my device and tightening security and integration. Sometimes older packages in build, but generally not too bad to updated when needed. I use Mint inside of a VirtualBox for PHP and Python development. Makes it easy to keep Windows and Linux, and when I am done, I delete the VM. "Nice to use dimple to get started linux distro"
Its very convenient and easy to get started with you don't have to install any software once you set it up on your system all the essential softwares are already bundled . Cinnamon the desktop manager is unstable it breaks a lot. Everything else form network managet to other parts works well. Very buggy too . In my case I was using a thinkpad the machine used to freeze a lot due to some kernel error in linux mint. But in the next update it became stable but still froze some times. Please make the cinnamon stable. Its very unstable its a very gud desktop manager infact I personlly like it a lot. But the only problem is it breaks a lot . Once it stops breaking its very gud and easy to use. Create integration of cinnamon with and other OS too so that we can use it with any flavour of linux. Opensource alternative for Windows as a OS. Easy installation and setup of all development tools. Benefits we where able to complete our project and deliver the product to the client at the required time. Very less investment as it is opensource. Helped us to save cost by enabling addon software from the other opensource vendors. "the best thing that I have installed in my laptop"
definitively the graphical environment (cinnammon), besides that the stability is very good, compared with other distributions of previous linux, debian, ubuntu, sabayon. simple installation, the devices are very easy to configure, and it has improvements every time it goes to a new version. some users feel confused when they do not see the usual programs they used in windows. Hibernate has issue- Every time I tried to hibernate, but the system gets freeze before going to hibernate mode. Some times, system goes into hibernate, but system freezes before system is up and running. I use Linux system for programming purpose. Very user friendly. Easy install. It's free. Wish there was a gnome version. Other than that, I like it. Use it for your old computers, and if you need to save money as OS's can be expensive. Side note: great to set up on an old computer for your kid or someone who has problems getting viruses..
Revitalize old computers. Save lots of money on modern OS. "Stable and enjoyable - the best desktop Linux distro out there!" Mint has slowly become more and more intuitive over the years, incorporating the latest open source packages, being secure and enjoyable to use. Certain hardware won't work sometimes whether that's due to drivers being unavailable or other non-compatibility issues. Desktop solutions for *nix preference colleagues, easy to spin up new instances (virtual or otherwise) of Mint for quick reference. I like the looks and the smooth operation. It runs well, and seems to have less issues than windows. Some things can be challenging, but it just takes getting used to. Nothing really sticks out, other than rhe fact that its not as easy to get viruses and malware. Powerful software at its finest! Great resource to to turn to. Not applicable for data is insufficient. Financial data, analysis and analytics. * We monitor all Linux Mint reviews to prevent fraudulent reviews and keep review quality high. We do not post reviews by company employees or direct competitors. Validated reviews require the user to submit a screenshot of the product containing their user ID, in order to verify a user is an actual user of the product. Hi there! Are you looking to implement a solution like Linux Mint?